Those finely spun, and exceptionally fragile spider webs that are spun in the early morning hours rightfully bare the same name as the title to Passion Pit’s much anticipated sophomore LP. Much like these intricate and fine webs floating throughout the autumn air, this album is delicate in sense of what you have is clearly something of value not to be tampered with, and just as pleasingly airy as the webs are freely traveling in the winds. 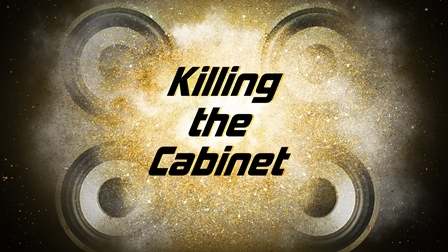 As much as Gossamer [Columbia Records, a division of Sony Music Entertainment] (album due July 24th) is demanding you to take in everything made so meticulously, it is not done by hammering beats into your head resulting in a daylong headache. Passion Pit has matured as artists, musicians, and composers, evolving their work in ways that are elegant, not outrageous. Passion Pit holds many “firsts” for me. I heard them on Pandora (and probably one of the last since Hype Machine took over my online radio preferences), freaked out, scrambled to put it on pause so that I could find out the artist to this insatiable “Sleepyhead” song, and determined they would make it someday soon. And they did. My first prediction of success from a no-name band. The other first is a bit more powerful. Since hearing them, I was unable to share my love of it all with someone who either knew about them or enjoyed them as much as myself. Unable to share this excitement, I realized I needed to write it down after buying their Chunk of Change EP. This was my first documented album review and later influenced my decision to write music reviews for my journalism course in college. Without having heard Passion Pit, I may or may not have ever begun writing music reviews, and then of course what would you have to look forward to every Thursday? Gossamer is something that has impressed me. Going from gritty, raw, and beat-tastic (absolutely a word…) Chunk of Change to a more carefully designed, yet a bit all over the place Manners left me unsure of what the newest Passion Pit album would be like. Listen, after listen, has left me in a state of awe. The impressive nature comes from, not just going back to their scrappy beginning sounds that I fell in love with the first time, but rather fine-tuning the direction they were going with Manners. Don’t get me wrong, it certainly was a great album with excellent tracks (“Little Secrets” “To Kingdom Come”), but everything felt like it was shoved in your face via an indecisive electrical current. Again, this is not bad persay, but being able to focus on specific musical/instrumental/melodic moments and perfecting those pieces rather than just piling tons of them on top of one another has more euphoric results. Manners is filled with inventive, unique, and absolutely enjoyable moments, but many of them go by too fast or and are not kept in focus. 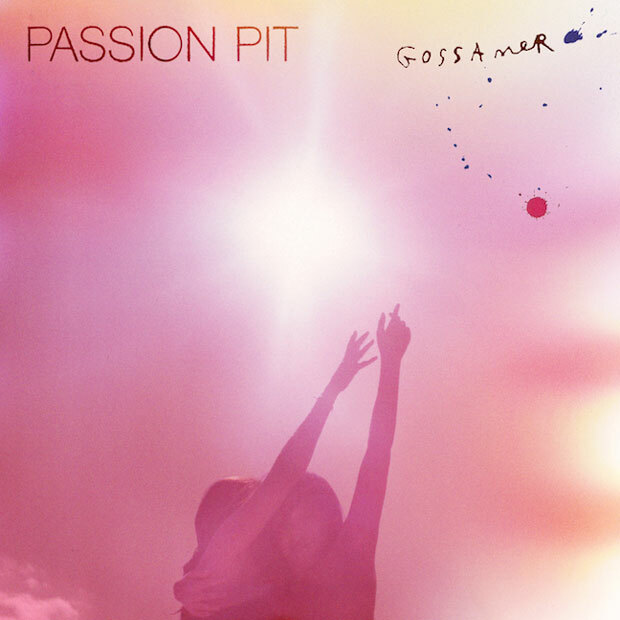 Besides truly taking a song’s essence and glorifying the foundation, Passion Pit was able to add a nice touch of female backing vocals throughout Gossamer. Not just the chipmunk version that we are familiar with from “Sleepyhead” (which a similar style evidently make an appearance on “Constant Conversations”), but untouched female singer(s) as well (“Constant Conversations,” “To Veils To Hide My Face”). Starting off with the first single “Take A Walk”…er…”Gossamer” brings you in with light, tingling bells and a soft synth, then slams you into a full focus with a weighty beat and a catchy-as-hell synth melody. The lyrics are down to earth with a storytelling theme reminiscent of fun. This is far from my favorite song, as I track two “I’ll Be Alright” reminds you that you’re listening to Passion Pit. Michael Angelakos falsetto and chipmunk record scratching bathed in a glamorous up-tempo barrage of instrumentation. “Carried Away” sounds an awful lot like a slowed-down synth version of Bombay Bicycle Club’s “Ivy & Gold” and is quite delightful with witticism, “wake up in the morning, wake up in the evening, wake up when you want to because no one’s really watching.” Beautifully composed and orchestrated song after the next filter through, leaving you in high spirits, until “Two Veils To Hide My Face” stops the fast-tempo nature and causes you to pause. Instead of being confused and angry that all of this glorious synth music has stopped, Passion Pit proves in 34 seconds what you have been sensing all along – they are more than just an electropop band and can absolutely throw an acapella melody at you and leave you breathless. Following this is a further moment of utter satisfaction with “Love Is Greed,” one of my favorite tracks on the album. I want to turn it up louder than speakers allow and float in the beautiful atmosphere it creates. The last two tracks complete this package of perfection and I am left with nothing negative to share. Passion Pit has left quite an imprint in the indie rock electropop world, reminding us of what we have been waiting for all summer. They have done more than just “made another album,” stepping up their game in a mature and professional way. Being torn of whether I could picture “Sleepyhead” on this album or not, is a perfect example of what they are capable of. Their album is out July 24th and are presently on a world tour, something I would suggest attending.